Hippocrates was an ancient Greek physician whose work was enormously influential with the development of modern medicine. Through the lens of history, he is viewed as one of the very greatest of all physicians of Greek antiquity. As is the case with many famous persons born a long time ago, many of the records of the birth, life, and death of Hippocrates have been lost – if they were recorded at all. Based on the records that do survive, we can ascertain that Hippocrates was born in 460 B.C. in Kos, Greece. What we do know about the man is found in the work of his primary biographer Soranus of Ephesus and also in the writings of the philosopher Aristotle. Hippocrates was the son of Heraclides, who was also a physician. It would seem that Hippocrates learned the basics of early medicine from both his father and his grandfather. Throughout his entire life, Hippocrates practiced medicine. His practice was not solely based in Kos, as Hippocrates traveled all throughout Greece and its territories. His life did have quite a bit of tumult as his theories on medicine frequently irked those who preferred the status quo. One of the most important assertions made by Hippocrates was the notion that diseases and illnesses do not derive from curses from the Gods nor are they rooted in any supernatural or superstitious origin. By changing the focus from superstition to science he helped to alter the course of medicine and scientific study. What Hippocrates did know based on his observations was that diet, lifestyle, and environmental factors all contributed to the health of a living person. Today, we look at such an assessment as being rooted in simple, basic, common sense. In the world of antiquity, superstition was far more prevalent and all things that were not clearly understood were assumed to possess a magical and a mystical origin. Hippocrates revolutionary belief system offered a thoroughly new approach that was not exactly accepted by his contemporaries. In fact, the great physician would suffer greatly for his beliefs. 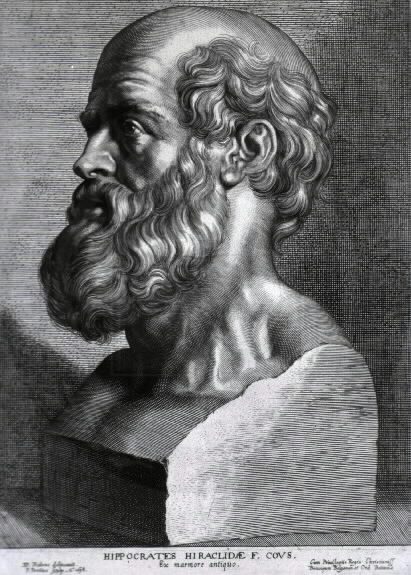 At the time Hippocrates lived, very little was known about disease because Greek society forbade dissection. As a result, a lot of guesswork was required on the part of physicians. Perhaps claiming supernatural origins was an easy way out for doctors at the time. Then again, they likely believed in the notion that disease was the curse of the gods. Hippocrates took things a step further and developed the theory of a disease crisis. The notion of a crisis referred to determining how far a disease was along and whether or not the patient would recover. While quite a bit of speculation is involved here, no one would say that the man was not headed in the right direction with his theories. Upon looking at the work of Hippocrates, it is not exactly easy to decipher his approach to how he actually practiced medicine. While we do have a general idea based on what records survive, the unfortunate truth remains a great many facts about his life are lost to history. What has survived and what we do know does reveal he was brilliant man who was far ahead of his time. Based on his work, the Hippocratic Oath emerged and this is the governing philosophy all doctors prescribe to. Hippocrates eventually passed away circa 370 B.C. What is your source, please, for this ‘Hippocrates in prison’ story? And for this treatise ‘The Complicated Body’? There is no such treatise in the HIppocratic corpus and I have only found this prison saga on a few Internet sites. But someone must have started it!